How much are you willing to pay for a fashion magazine? Many tFS forum members are avid readers of print material and most of us regularly peruse digital versions of various publications, but are some print magazines becoming too expensive? The Fall/Winter 2014-2015 issue of Vogue Paris Collections arrived in the UK today and I couldn't wait to pick up my copy. I've been collecting the biannual since 2010, and have always (without fail) received questionable looks from the shocked cashier when they ring up the tome. The magazine retails for £24.95 ($39.95), which could get you five issues of French Vogue's main monthly magazine here in the UK (with change!). Sure, it's a lot of money to part with for a magazine and I very well understand that. Perhaps I have deluded myself into thinking the magazine is an investment. After all, it can double as a great coffee table book, and it's a bonus that the contents of the magazine are on point, including every fashion show worth documenting and a wide range of designer accessories for the upcoming season. I used to collect Vogue Japan after falling for its simple covers and rich content. However, after a few years, the price went up dramatically and I suddenly decided the magazine wasn't worth almost £18 every single month. The content has become dull to me and the covers were becoming increasingly tiresome. So, I guess it all boils down to the content. I'll pay the asking price if the content is satisfying. 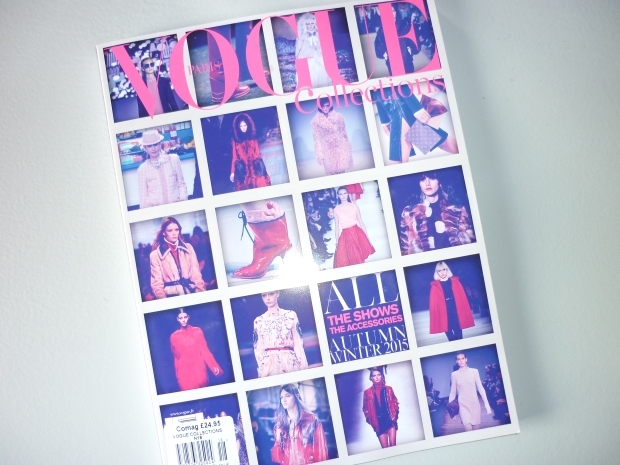 Tell us, do you think fashion magazines have gotten too expensive? Do you find yourself trying to justify spending premium prices for international or limited-edition issues?